a delightful day of non-stop fun and tasty sweet treats. phone cameras to scan any Goldilocks 50th anniversary cake logo to start the game. The premise is as simple as it is intuitive: using the touchscreen function, players must protect a delicious cake from a swarm of hungry ants by squashing them with their fingers. Due its dynamic gameplay, charming graphics, and easy interface, it is not surprising that Sweet Attack has become a remarkable success all over the country. 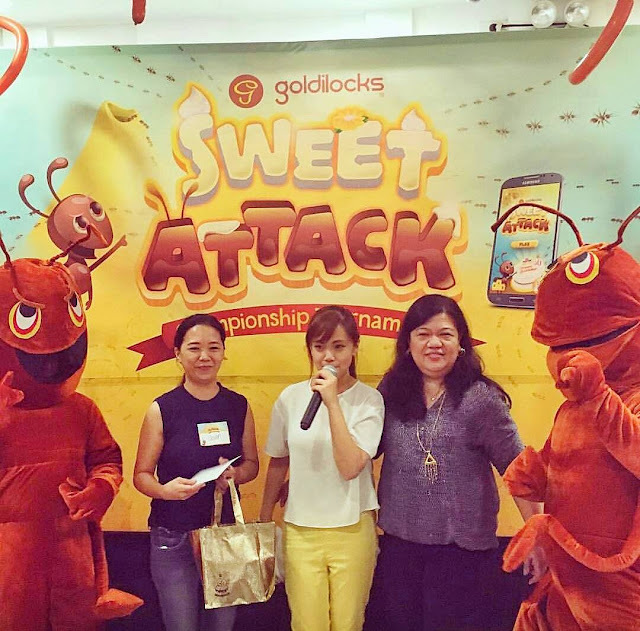 During the recently concluded Sweet Attack Battle Tournament, the app’s highest scorers from the past month were invited to compete among themselves for the chance to win cash prizes and gift certificates from Goldilocks. The winners were determined through several elimination rounds, until one sweet champion emerged. 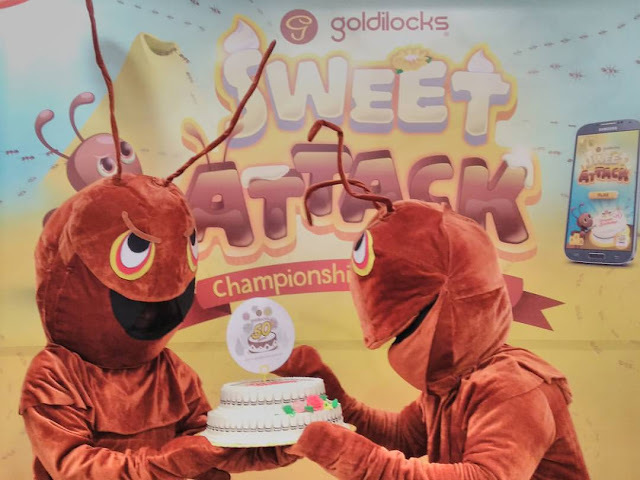 The afternoon was abuzz with excitement and entertainment as players and spectators alike enjoyed the festivities, not to mention the scrumptious Goldilocks treats and giveaways. 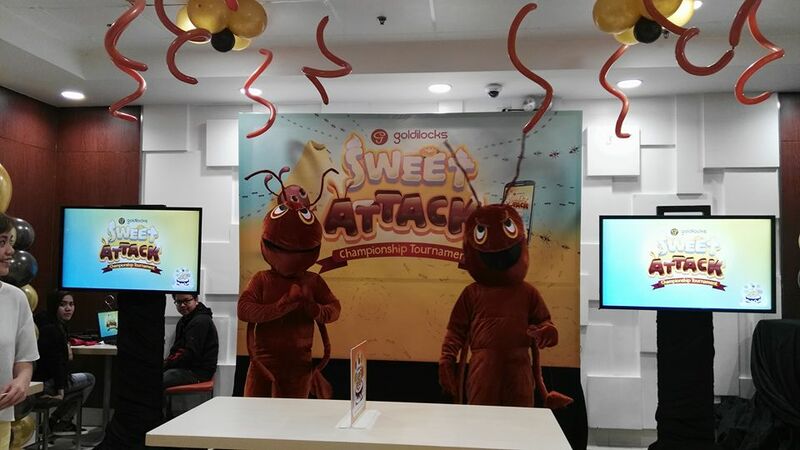 Get in on the action and download the Goldilocks Sweet Attack game on the App Store or Google Play Store. Who knows…. the next champion could be be you!